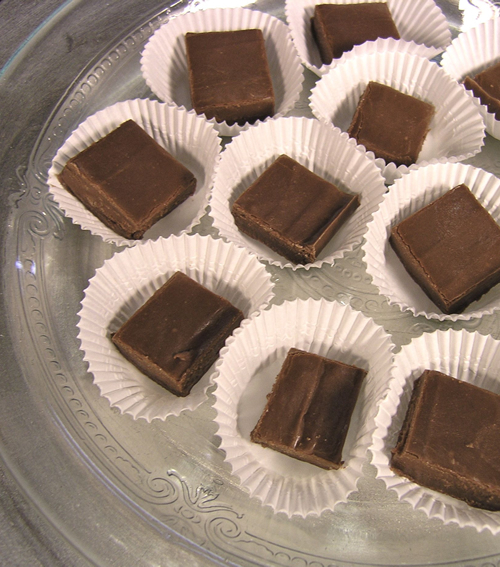 The delightful bite of mint makes this dark chocolate mint fudge cool, refreshing, and delicious. A hit for the holidays! More diamonds are sold around Christmas than any other time of the year. Christmas caroling began as an old English custom called Wassailing--wishing neighbors a long and healthy life. "Rudolph" was actually created by Montgomery Ward in the late 1930's for a holiday promotion.